“Weddings of abounding detail, overflowing joy, and abundant ease.” That’s the fabulous tagline of Emily Taylor Weddings, formerly Confete Events. They offer full service wedding planning, design, and florals, and take on only 8 weddings a year, so they can give their absolute best for each client. 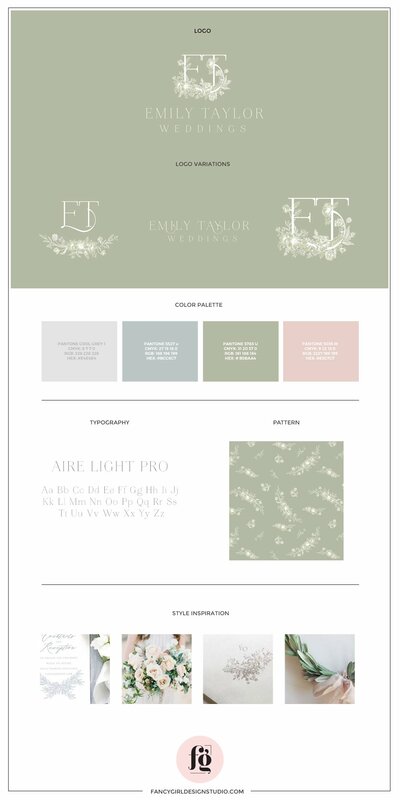 Emily and I worked together on her previous logo, and it was such a joy to work with her again when she rebranded. She had a very clear idea of what she wanted – lush florals, timeless fonts, and a high-end look. 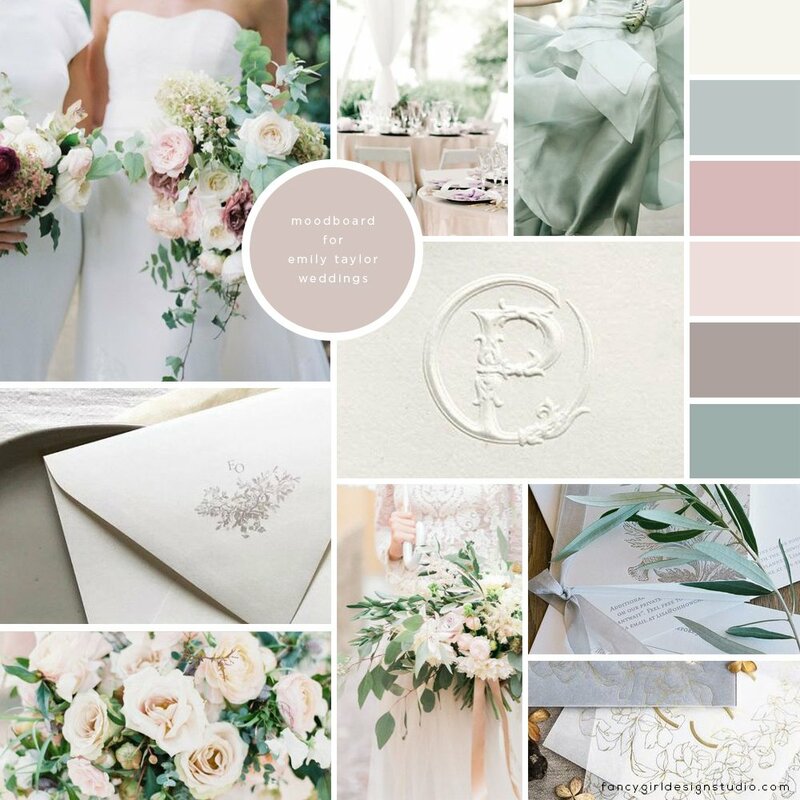 Everything in the moodboard speaks of a timeless appeal, with elegant touches, delicate details, and lush florals. I worked closely with Emily throughout the design process as we refined the design concepts until we arrived at the final version of the logo. Emily wanted specific flowers incorporated into the illustration, and being the floral designer that she was, gave clear directions on how to arrange them, taking out leaves here, adding more flowers there.The result is something we both absolutely loved!